Monitor, analyze and optimize your digital success with the technology of RYTE. The all-in-one SEO tool promises to lead the way to digital prosperity and assures you of obtaining website, search engine and content success. Sounds promising, right? Well, we’ve put RYTE – formerly known as OnPage.org – to the test and made an overall assessment. Check it out now! One of the cornerstones of RYTE is website success. The software ensures the quality of your website so you can obtain more online success. To achieve this, the tool first monitors the health of your website. In this respect, relevant website KPI’s (Key Performance Indicators) are checked, like downtime, availability and other important technical aspects. RYTE also performs a thorough analysis of your website by systematically screening your website like a search engine, looking for risks and potential of your website. Ultimately, you get presented improvement tips in the shape of reports where the most urgent cases are brought to the attention. Think of critical errors that need to be resolved quickly or big opportunities to increase the traffic to your website and improve the conversion rate. RYTE helps you become visible to your target group and get more out of the search engines. This starts with monitoring your search engine rankings. This functionality helps you to easily keep an eye on your relevant keywords, their performances and their long-term development. 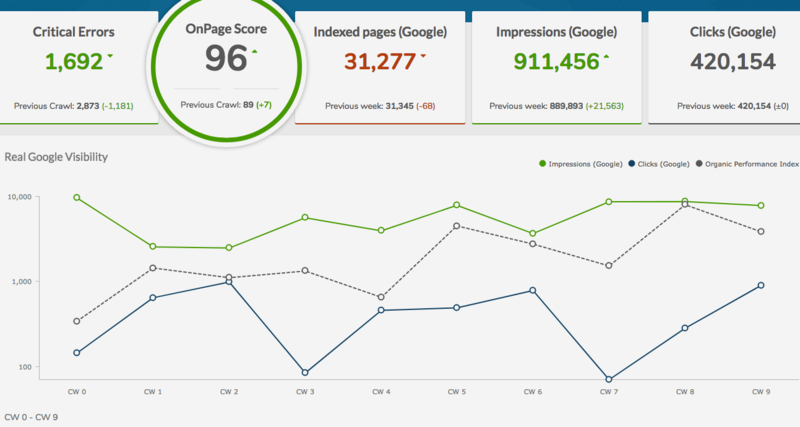 And with the ‘Organic Performance Index’ you get insight into the potential of your website in relation to your current performance in the search engine, which is definitely an interesting value! Of course, a clear overview of all your keywords is also included, set against factors like position, impressions, clicks and CTR. 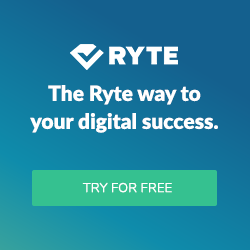 Book search engine success with RYTE now! To achieve success with your content, you of course need to make sure that your images, videos and other content are of high quality. With RYTE you can see which content produces the most traffic and conversions. By performing extensive content analyses and with the help of the ‘assistant tools’ you’re able to create content that should enable you to outperform your competition. RYTE holds on to the accents of monitoring, analyzing and optimizing and focuses on the cornerstones website, search engine and content success. When you purchase this tool, you’ll acquire an extensive SEO tool where you can perform high-quality analyses with on different on page levels and receive target oriented optimization suggestions to take your website to the next level. RYTE also has an extensive YouTube video channel. You can find basic information about SEO here and watch lots of tutorials that guide you through the tool, which is an absolute asset. On the other hand, the different elements of the RYTE software aren’t available individually and you’re bound to an all-in-one subscription. This is however not a fundamental problem, since all components complement each other perfectly and perhaps would lose their strength when used separately. Get started with a free RYTE account now!